NASA just finished its latest effort, a 50,000 sf office building at the Moffett Field Ames Research Center in Sunnyvale, California. It is being advertised as the “greenest” federal building. For years now, commercial office buildings have been the focus of sustainability groups and the next big push for making our world a more environmentally friendly place to live and work. It is true, there is a lot of energy to be saved and we can still improve upon the standards we all live by in our commercial buildings. NASA may have just set the bar for all of us. In the green building world, LEED Certification is one of the goals for the environmentally conscious owner. LEED was developed by the U.S. Green Building Council (“USGBC”) in 2000 with rating systems that are developed through an open, consensus based process led by LEED committees. According to the USGBC’s website, “LEED provides building owners and operators with a framework for identifying and implementing practical and measurable green building design, construction, operations and maintenance solutions.” Furthermore, “LEED certification provides independent, third-party verification that a building, home or community was designed and built using strategies aimed at achieving high performance in key areas of human and environmental health: sustainable site development, water savings, energy efficiency, materials selection and indoor environmental quality.” I can’t think of a better group than NASA to take a “stab” at showing us how this should be done. According to NASA’s website, they want you to “imagine working in a building designed in harmony with its environment.” Such a building will have things like natural daylight, fresh air from an open window and the highest LEED certification, LEED Platinum. The building is smart too. It knows how much energy to use and it can adapt to changes in weather. 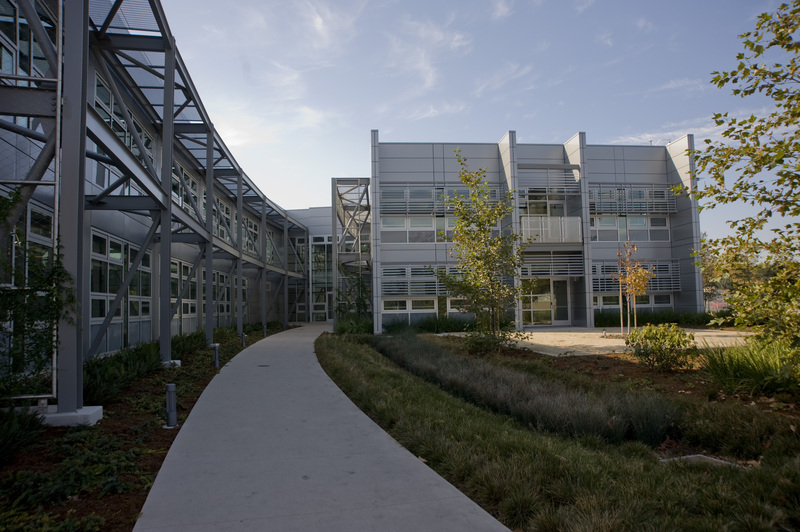 In fact, the building is capable of generating more electricity than it uses and can therefore help power some of the adjacent buildings on the campus. The building is truly a showcase for NASA’s technology that has been used for years to sustain and propel our astronauts to places beyond our Planet Earth. How much for all of this? The cost of a project like this hasn’t been confirmed but I found some information that points $20.6 Million which is $412 per square foot. According to our most recent Bay Area Investment Report from Q1 2012 the average investment sales price in the Silicon Valley was $228/sf and on the Peninsula it was $394/sf. Since this property is on the border, the Peninsula market is showing that the market numbers are nearing replacement cost but the Silicon Valley stats show this project is well above the typical sales comparables for the area. In summary, I found the details of NASA’s Sustainability Base impressive. This building is really a first class project. As far as the productivity claims go, I’d appreciate an opportunity to work in a building like this to gauge whether or not my productivity would really increase with all the natural light, fresh air and technology around me. Do you work in a building with sustainable elements? If so, do you feel more productive as a result? Please feel free to email me or comment below with the elements of a sustainable environment you work in and any effect they have on your productivity.